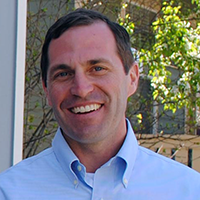 RACE SUMMARY: Jason Crow defeated incumbent GOP Congressman Mike Coffman, who has held the seat since 2009, to represent the 6th district in the U.S. House of Representatives. Believes women should have the right to make healthcare decisions that are best for them and their families, including decisions about whether and when to have children. Served as an paratrooper and Army Ranger in three combat tours in Iraq and Afghanistan, eventually being awarded the Bronze Star. Joined ROTC in college and decided to serve in the Army. Eventually finishing at the top of his class at the Distinguished Military Graduate. Served in both the 82nd Arirborne Division and in the 75th Ranger Regiment.